The trilogy by Matthew Mather is surely a thriller of first rank with an extra spice of fantasy as well. The story takes us to the future where the human race faces the most troublesome thing of all and that is nothing else than the environmental pollution that has occurred because of the over use of the natural resources by the human beings. The elite force named as the Atopia however manages to form a solution of the problem by creating an artificial island in the Pacific so that nature could be preserved in its natural form on earth. Dr. Patricia Killiam also appears for the first time on the scene to save this virtual reality for mankind. The second book takes us more deep into the journey of the ideal world in which this time we are told that there are other threats to the mankind than mere pollution problem that are apparent and visible. Robert Baxter finds out an apocalyptic threat that could result in the destruction of the entire earth in no time. 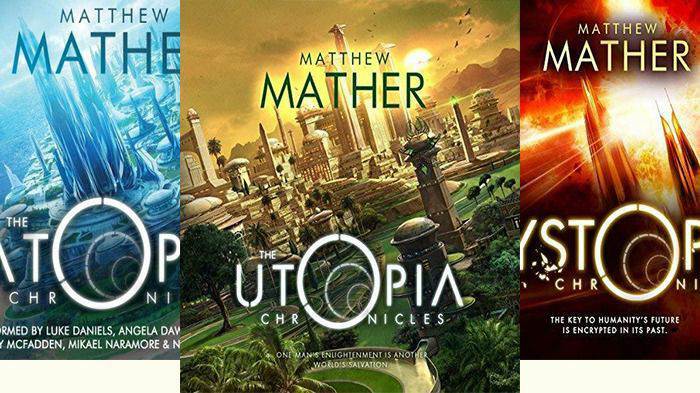 The book reminds us of The Utopia Chronicles (Atopia #3) – Matthew Mather, Sanctuary: The Nomad Trilogy, Book 2 – Matthew Mather by the same author of course and the theme of the books is also almost the same that reveals writer’s interest for these fantasies. The third novel of the series takes us to the final ending of this whole saga. The virtual world that was once created by mankind as the final solution to all his problems comes under a huge threat and this time the destruction of the Atopia would also mean the end of the human race as it is left with no other sources for survival. The narrators Luke Daniels, Angela Dawe, Tanya Eby, Amy McFadden, Mikael Naramore have done a marvelous job throughout the series and the narration keeps good pace all the way to the end.